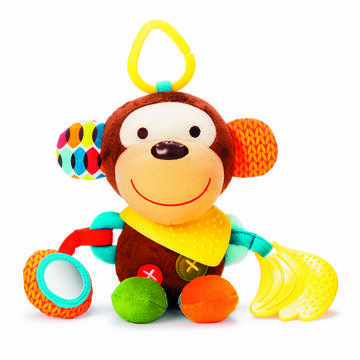 None of these baby toys squawk, light up or run on anything other than your baby's belly laughs. And since they're all under $35, you can treat your bub to more than one! Meet Lola the Cat. 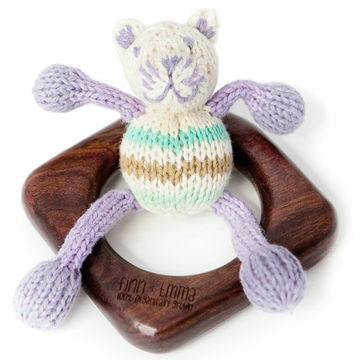 This Finn + Emma Teething Ring is fairtrade and hand-knit with 100 percent organic cotton by artisans in Peru. All the dyes are nontoxic and the hardwood is finished with beeswax. 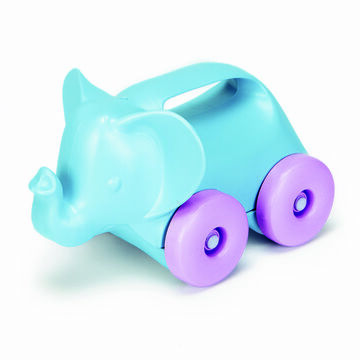 The Green Toys Elephanton- Wheels is made in the U.S. from recycled, BPA- and phthalatefree milk jugs, and the packaging is printed with soy-based ink. Attach the zany Skip Hop Bandana Buddy to the stroller or car seat to bring your cutie's plush sidekick along. Plus, the teether detaches and can be worn as a bracelet. 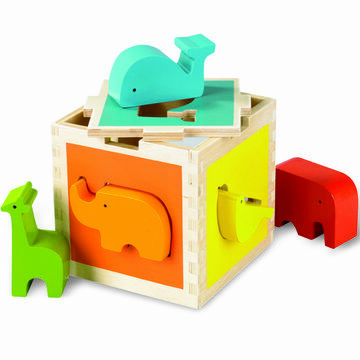 The wooden DwellStudio Zoo Shape Sorter's whimsical whale, sunny bird and other exotic friends help build color and shape recognition, so Baby will get a mix of learning and play. Mom's with the band! 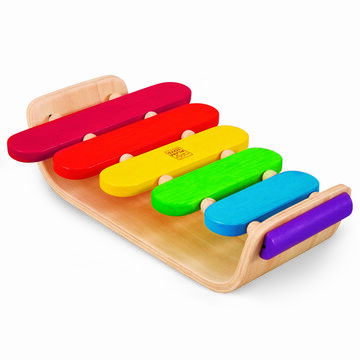 The Plan Toys Oval Xylophone is crafted from all-natural rubberwood and water-based dyes. Little Sapling Toys Picture Alphabet Blocks are handmade and coated in beeswax and organic jojoba oil. 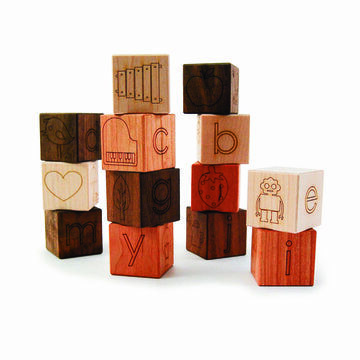 Each cube contains letters and sweet illustrations—perfect for practicing the ABCs with your little scholar.